Having junk food in your home is the easiest way to self sabotage. If it’s there, someone is going to eat it- and that someone can be you! That’s why we’re going to talk about how to clean out your fridge to prepare for clean eating today. Simply put- if it’s not there, you can’t eat it. 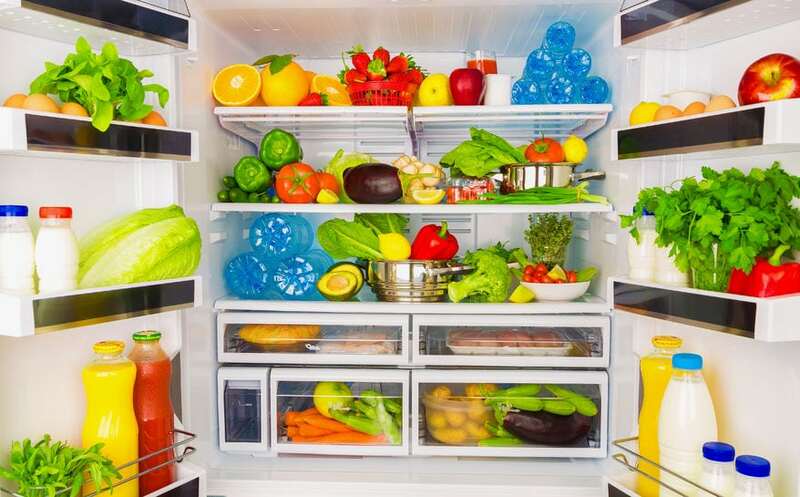 It’s easy to let junk pile up in our fridge. Leftovers from cheat day, snacks for your kids, stuff your husband snuck in, etc. The problem is, if you get a craving and see it- you’re going to eat it. So toss it before that happens. 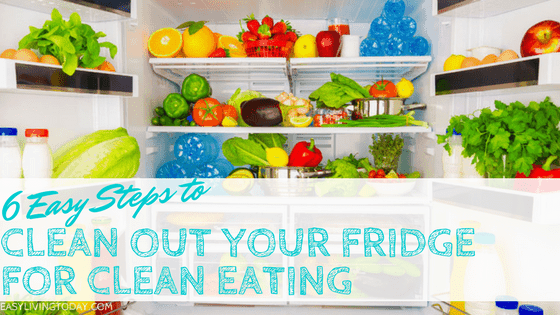 My challenge for you this weekend is to clean out your fridge completely. First things first, empty your fridge and freezer completely and wipe it down. Throw away any leftovers that are way too old to eat, from a cheat meal or just plain unhealthy. Realize that if you want yourself to be healthy, you should want the same for your family. So, no, don’t keep the ice cream with 0 nutritional value for your kids unless you want to end up drowning in it after a bad day. And your husband will live without his leftover, deep fried hot wings. Now look through all of your food and be truthful with yourself. If it’s unhealthy, throw it away. If you have to question weather or not it’s good for you- THROW IT AWAY!! Get rid of white starches, frozen pizzas and pizza puffs, hot pockets, lean cuisines, frozen burritos, candy, anything processed that needs to be thrown in a freezer, anything that’s remade and frozen (fries, tater tots, etc), american cheese, deli meat unless it’s turkey or chicken, etc. You get the point. Now it’s time to go grocery shopping and restock your fridge!! Some of these don’t immediately go in the fridge, but they will once they’re cooked- that’s why they’re listed here. Obviously, this isn’t a full list of healthy foods– this is just meant to give you an idea. Also, don’t overbuy. Be realistic and think of what you will eat all of before it goes bad. The best way to do this is by meal planning for your week. Don’t forget to join my get fit bootcamp group on Facebook! Now that you have a healthy foundation, and nothing awful to reach for, it’s time to make sure you actually use this to your advantage. I know looking in to a fridge can be overwhelming, especially if you haven’t planned your meals. It’s confusing to see a bunch of foods and not know what to make, especially if some foods are hidden in the back of the fridge. So here are some things to help you out. 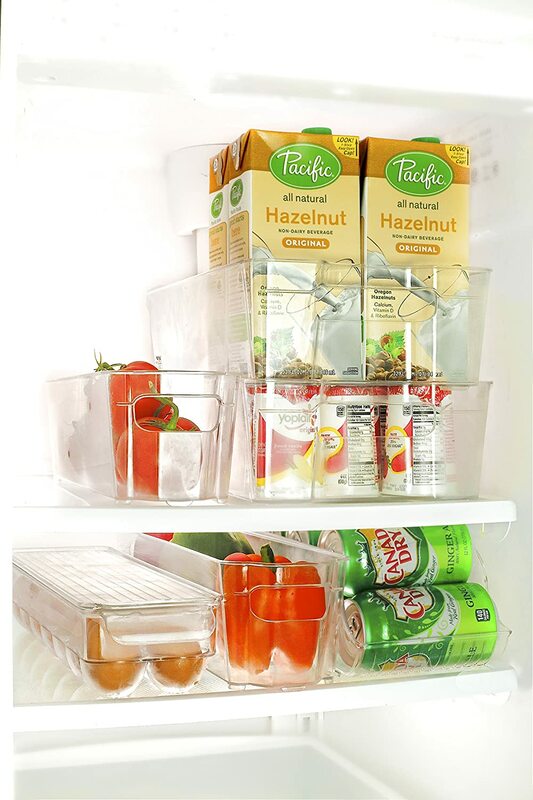 The best thing I have found to organize the fridge are these organizing storage bins. What’s nice about them is that you can stack them so that there is no wasted space in your fridge. They also make it easy to keep everything in one place so things aren’t ending up in the back to never be seen again. I use them differently depending on my week since I meal prep weekly. Sometimes I’ll fill them with my meal prep containers and have one container for breakfast, one for lunch and one for dinner. Other times I’ll just use them to separate veggies, fruits, snacks, etc. It really just depends on what works for your lifestyle! This is a must have in any fridge! If you tend to not go through your produce fast enough, you need these fruit & veggie life extenders to keep your produce fresher longer! 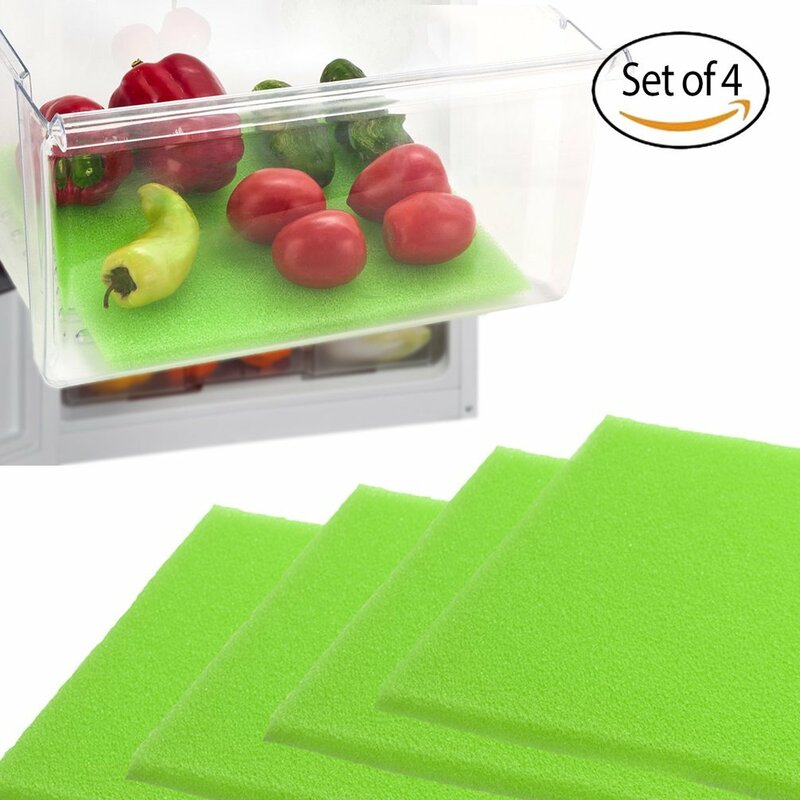 These foam fridge liners allow air to circulate throughout the drawer to prevent your fruit and veggies from rotting or spoiling. And, the thing is, it really works! This is a great price as well because you’ll save more than that by not constantly throwing away produce that has gone bad.